If you’re concerned about what people think of your smile, then you have good reason to be. This is because studies show that one-third of people say that the first thing they notice about a person is his or her teeth. 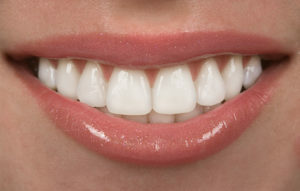 Therefore, to make the best first impression possible, you want your ivories to gleam bright like halogen headlights. And that’s why your local dentist wants you to know about the amazing benefits of teeth whitening of Aurora. Take-Home Whitening – The take-home whitening option offers the right amount of professional bleaching agents to lift pesky stains from your teeth enamel. Although there are several generic whitener options available in your neighborhood grocery store, they won’t be tailored to your specific needs, and you run the risk of getting a kit whose bleaches are either too weak or dangerously high. Whitening for Life Program – Another great service that is unique to your cosmetic dentist of Aurora is the Whitening for Life Program. After joining, you’ll be eligible to receive free touch-up whitening gel at no extra cost when you come in for at least two of your check-up and cleaning appointments. With professional whitening you can expect to see drastic results, and in some cases your teeth will be brightened as much as eight shades. Foods – Try to avoid edibles like tomato sauce and dark berries that contain tannin, a naturally occurring coloring agent that is found in certain foods and drinks. Beverages – Certain drinks like tea, coffee and wine contain tannin as well, so to protect your beautiful smile, it’s best to limit their consumption. Smoking or Chewing Tobacco – Tobacco products contain tar and nicotine, two chemicals that not only stain your teeth but are also harmful to your health. Rinse your mouth with water or mouthwash immediately after consumption. You now have the full recipe for a beautiful white, beaming smile. So the only step left is to reach out to your dentist of Aurora to get the process started and prepare to wow the next person you meet! Dr. Matt Mauck received his undergraduate degree from LSU and then went on to earn his Doctor of Dental Surgery degree from the University of Colorado School of Dental Medicine. Also a FACE (Foundations of Advanced Continuing Education) graduate, Dr. Mauck practices at D’Amico & Mauck, DDS and can be reached for more information through his website.